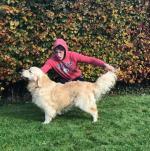 Skellig : Purebred Golden Retriever at Stud Skellig is an... [more] Golden Retriever Cream Cork €300 Golden Retriever in CorkAvailable for stud ! Teddybear : Giant german shepherd mix wolf. 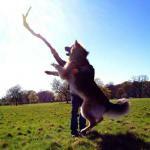 114 cm long, strai... [more] German Shepherd Brown Wicklow €100 German Shepherd in WicklowAvailable for stud ! 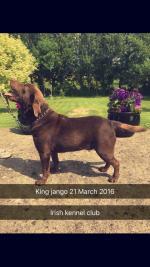 King jango / i.k.c. 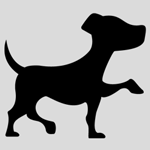 chocolate labrador : Dark chocolate I.K.C REGISTERED LABRADOR. Excellen... [more] Labrador Brown Roscommon €300 Labrador in RoscommonAvailable for stud ! 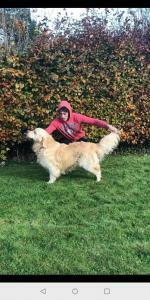 Clifford : Clifford (main picture) is a 4 year show quality G... [more] Golden Retriever Cream Galway €350 Golden Retriever in GalwayAvailable for stud ! 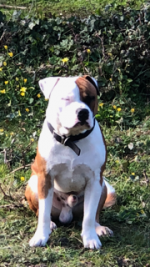 Floyd staffordshire bull terrier : Great staff for stud already proven,beautiful mark... [more] Staffordshire Bull Terrier Red Wicklow €400 Staffordshire Bull Terrier in WicklowAvailable for stud ! 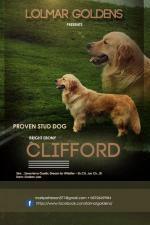 Lurgans lad (dex) : Golden Retriever At Stud! Lurgans Lad! Irish Ke... [more] Golden Retriever Cream Monaghan €350 Golden Retriever in MonaghanAvailable for stud ! Lurgans lad (dex) : Golden Retriever At Stud! 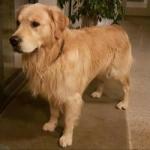 Lurgans Lad 3 yr old Go... [more] Golden Retriever Cream Monaghan €350 Golden Retriever in MonaghanAvailable for stud ! Fullcool bobby magee irish champion : Fullcool Bobby McGee or Alan as we know him is one... [more] Schnauzer Black Galway €400 Schnauzer in GalwayAvailable for stud ! Rambo : We have available for stud our stunning purebred ... [more] Poodle Cream Galway €350 Poodle in GalwayAvailable for stud ! 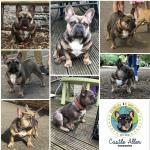 Castle allen king ralph : King Ralph is now avaible for stud,he is very shor... [more] Bulldog Blue (Kerry / Merle / Roan) Dublin €750 Bulldog in DublinAvailable for stud !